One way that gold prospectors look for gold is too try and locate its source, the place where to gold forms in the earth. In epithermal gold deposits, it is quite common for sizable gold veins to run through quartz rock, and these specimens can be located using a quality metal detector. Often these gold in quartz specimens are very beautiful and interesting, causing them to be highly valued by mineral collectors, sometimes even more than the value of the gold itself. 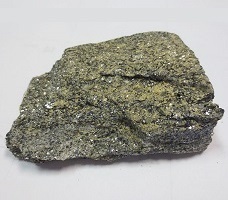 With specimen-grade gold such as this, it is recommended that the gold miner seek out collectors that will pay a premium for them rather than crushing these mineral specimens. However, there are occasions when it is in the prospectors best interest to crush these pieces of ore. We will discuss this in further detail below. 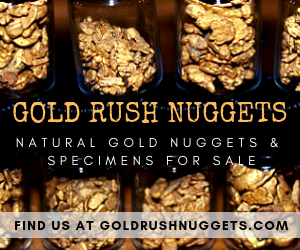 I have put together a PDF report with 60+ pictures of natural gold nuggets and specimens. 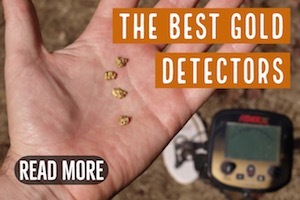 Learn what the “real deal” looks like so you will know how to identify natural gold when you find it in the field. 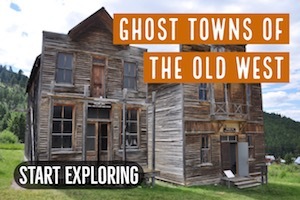 Click here for a free copy! 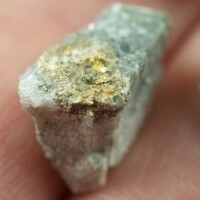 Despite the fact that gold is a unique metal with very distinctive characteristics, it is perhaps one of the most misidentified minerals there is. This is certainly due to its high value, and the desire of so many people to find the precious metal. This desire often clouds their judgement to a point where any shiny rock is considered gold. The fact is that gold is rare. 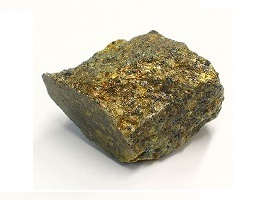 Even low-grade gold ore that has only small amounts of visible gold present is still extremely rare. Yet people are constantly finding different types of shiny rocks and hoping that they have found the real-deal. Differentiating real gold from the huge variety of “fool’s gold” out there is a different discussion, but suffice it to say that I would be very rich if I had a dollar for every person who has showed me a shiny rock and asked if it is gold or not. 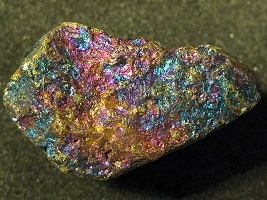 Below are a few pictures of different types of “shiny rocks” that have NO gold content. 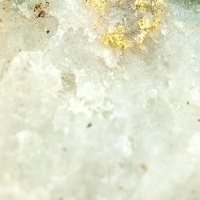 Any type of quartz or rock that has visible gold veins in it should be considered high-grade. If you located a source of this material using a metal detector or other mining method, be sure to give it the attention that it deserves. There could potentially be many ounces of gold in the vicinity. There is a difference between high-grade and specimen grade gold. Specimen grade would be those pieces that we discussed earlier that have a higher value to collectors. However, there are many high-grade ores that are not all that attractive and will not command a high price to a mineral collector, but are still very rich. These ores should be crushed to release the gold from the rock. 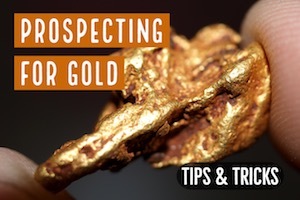 For the average prospector, this large equipment is likely too expensive and is also not necessary for processing small samples of high-grade gold in quartz. 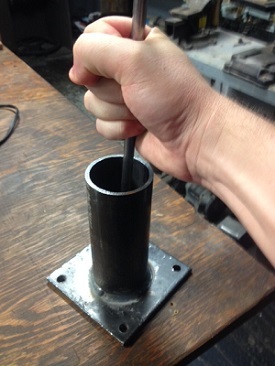 For small pieces of quartz that contain visible gold, a simple hand operated crusher will do just fine. 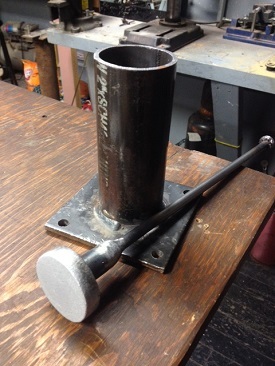 Many miners call these “dolly pots” and they are simply a mortar/pestle made from steel that you can put small ore samples into and crush up. You can buy one or have one made very easily. 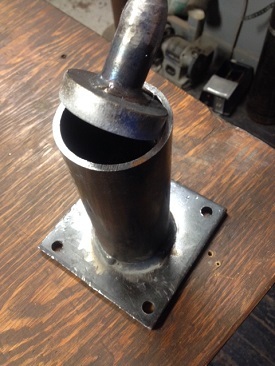 The one in the photo was built at a local welding shop using scrap steel that was laying around and it does the job just fine. Put the pieces of gold in quartz inside the dolly pot and start busting it up. Keep at it until you’ve broken down the material into a fine powder. The finer the material, the more efficient your gold recovery will be. If the dolly pot gets full of fine quartz dust, simply empty it out and use a classifier to separate the fine material from the larger chunks that need additional processing. Continue crushing until you are left with just fine material. 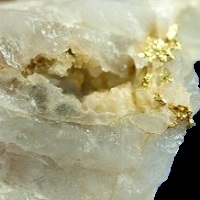 Assuming the specimens that you are crushing actually contain some gold, there is fine gold within all that quartz. All you have to do is separate it out. Now is the easy part. Once you have everything crushed down to fine texture, it is a simple matter of just panning out the contents. You will be left with just the gold. Now is when you will find out if your shiny rocks actually contain gold or not. If that shiny stuff is actually mica, chalcopyrite, or some other light mineral, you will lose it in the panning process. If you have gold, and you do your gold panning properly, you will be left with just the gold. Again, it should be noted that the nice collectable pieces of gold in quartz should not be crushed. 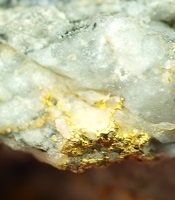 Even if it isn’t loaded with gold, if the gold displays nicely in an exposed vein running through the quartz then it may very well be worth more as-is. Still, most gold ores should be crushed to realize the highest values. 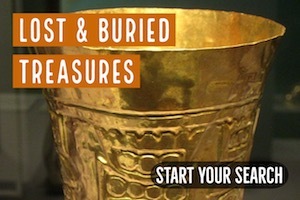 Even many pieces that have visible gold are not all that attractive, and won’t bring much money to a collector. Gold is often associated with “dirty quartz” that has a lot of iron staining and is also not very attractive. If you’re not sure what you’ve got, crush it up, pan it out, and find out! 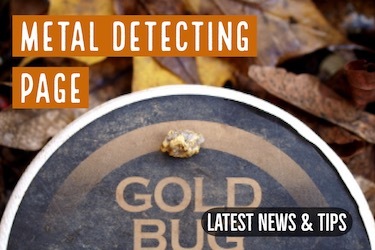 Also Read: How Rare Are Gold Nuggets?